After increasing my K series lens collection over the past couple years, I found information relating to the original lens hoods greatly lacking. 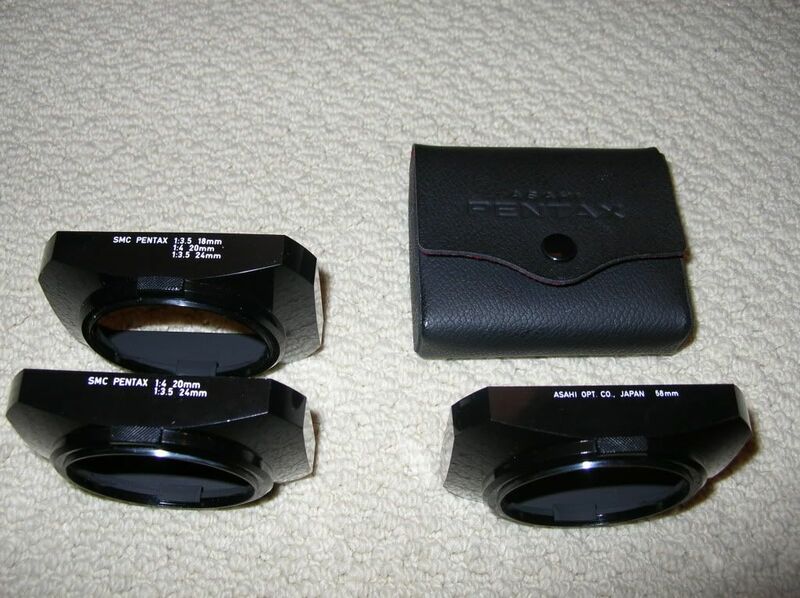 Even top notch sites like "Bojidar Dimitrov’s Pentax K-Mount Page" are confusing with their lens hood terms. 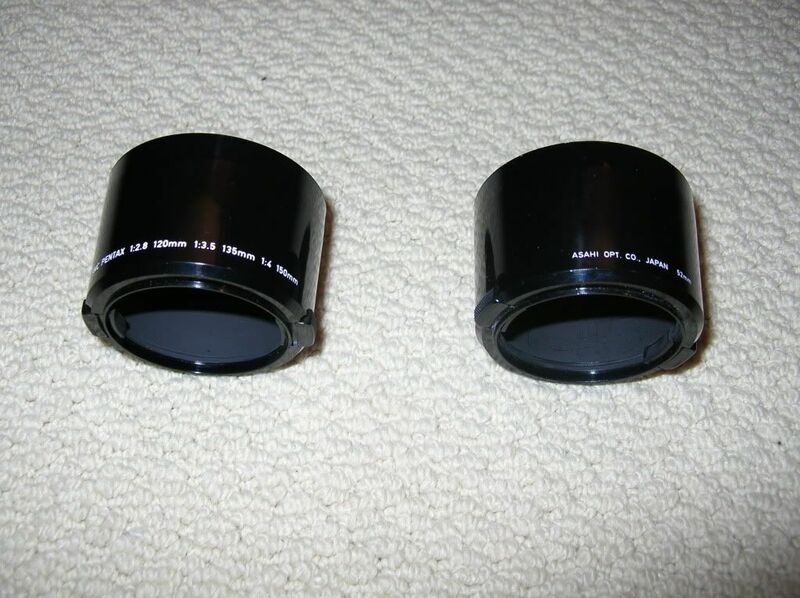 Even though there are a couple of exceptions, you can generalize that K series lens hoods are plastic clip-on and come in two filter thread sizes, 52mm & 58mm. 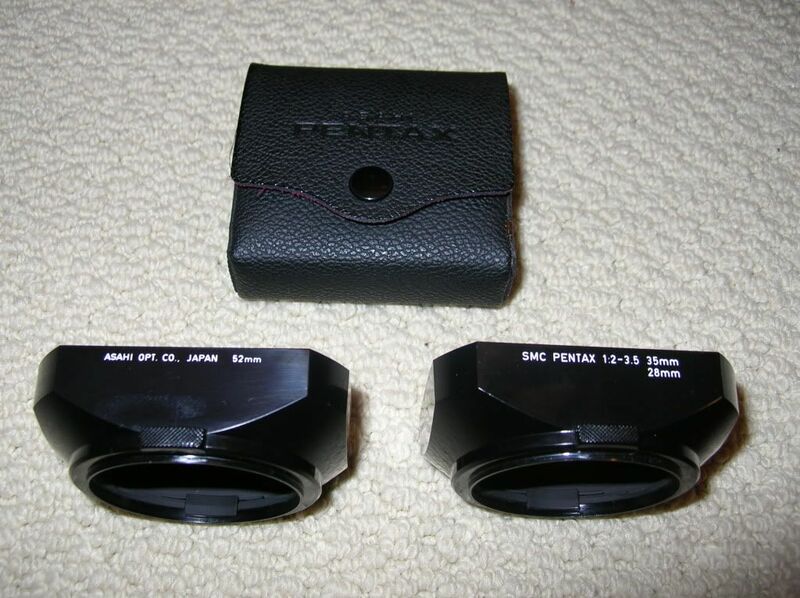 The terms PH-S58 did not exist back then and lens hoods were marked with the filter thread size on the back and the lenses the hood was designed for on the front. 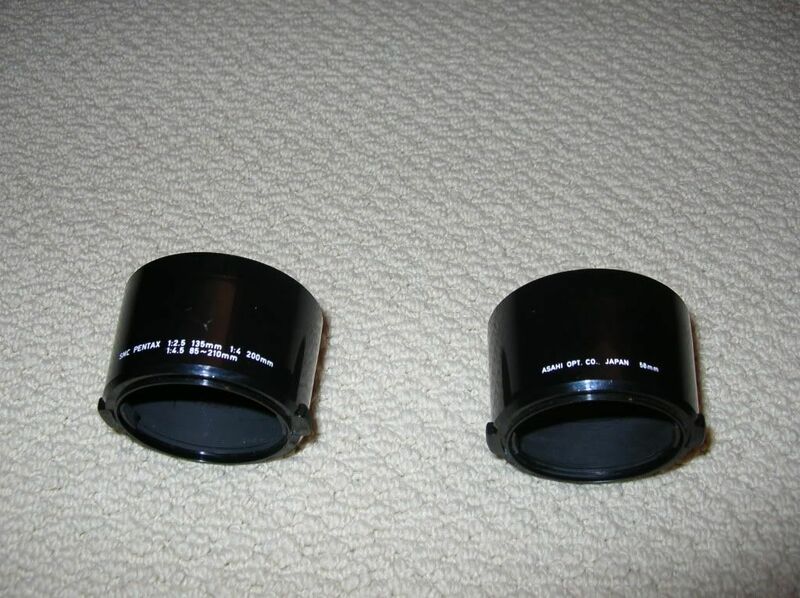 Rubber, mental and screw mount hoods were generally not used for the K series lens hoods. 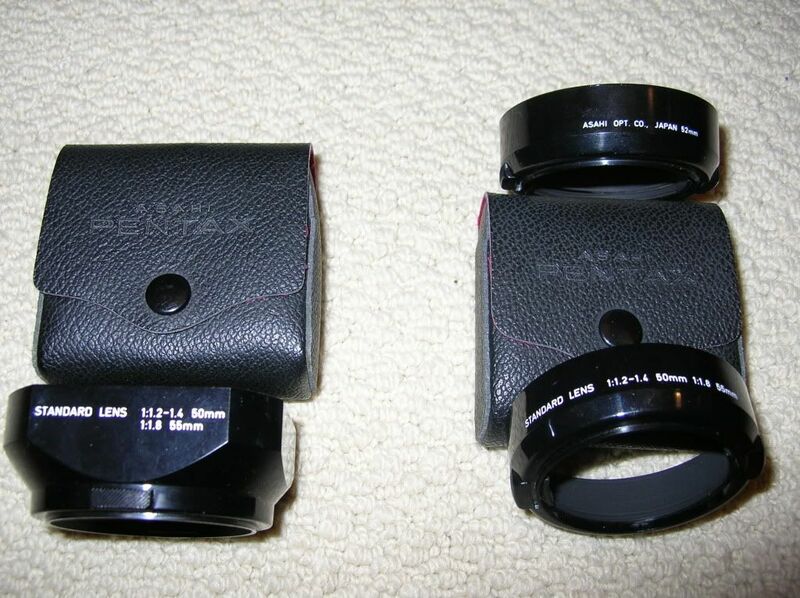 The clip-on lens hoods for wide angle and standard lenses came with a hard case, the clip-on telephoto hoods were designed to fit in the hard lens case with the lens. 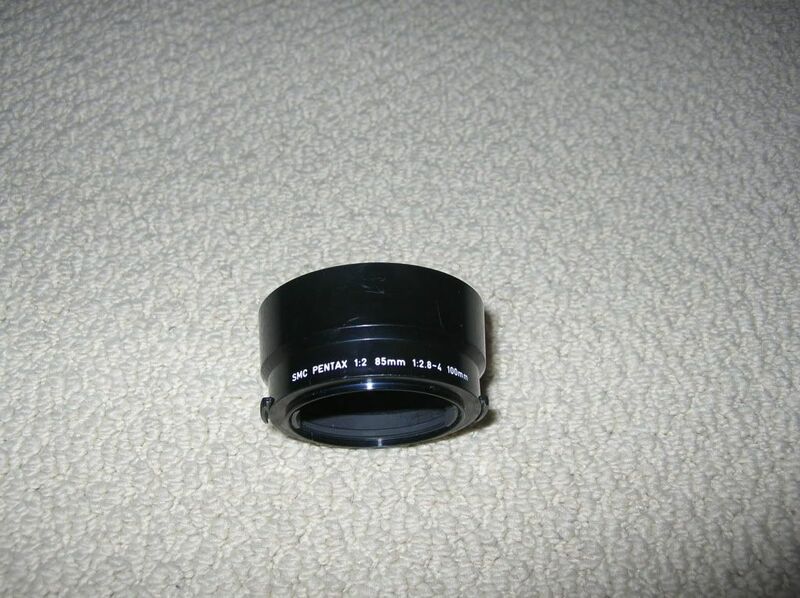 The following is a list of all K series lenses and indicates if they have a clip-on or built in hood. I have made up my own name for each hood and have attached pictures of the front and back if possible. Phil: What a wonderful resource and great post! Thank you. I have a few missing from your photos if you'd like me to add them. Phil is the K man. 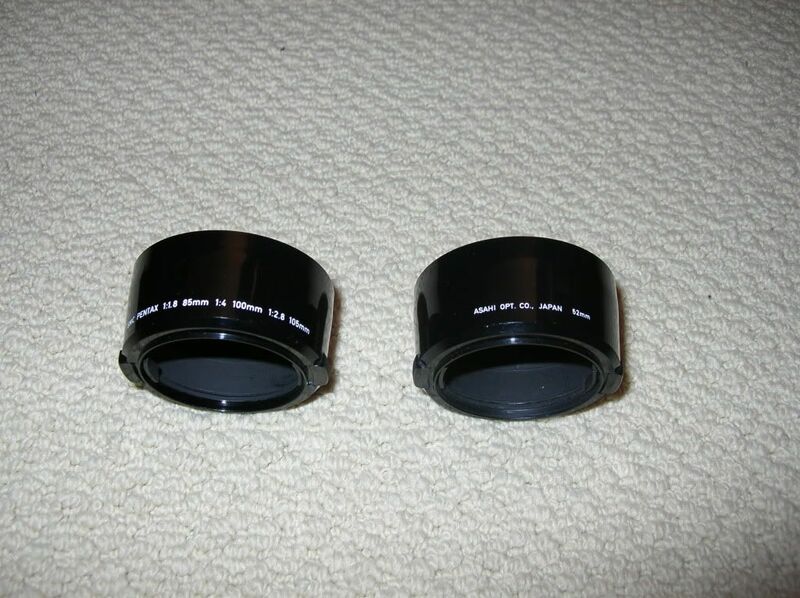 From the photo of the 58mm ultra wide hoods I take it these are the same except for the text? I'm wondering if my Takumar 24/3.5 hood will be appropriate for the K18/3.5. Just stumbled on this trying to find posts on lens hoods in general. Great resource. One suggestion - could you use a different color instead of the yellow - I find I can't read that text on my screen with its current settings. Thanks for the suggestion, I made the change from yellow to orange. great guide thanks its hard to find the right case. i had this one on my M 100 macro ... i know it is a k thread but did you know if its the right one? The manual for the period states the markings designate the focal length for which the hood is suitable. 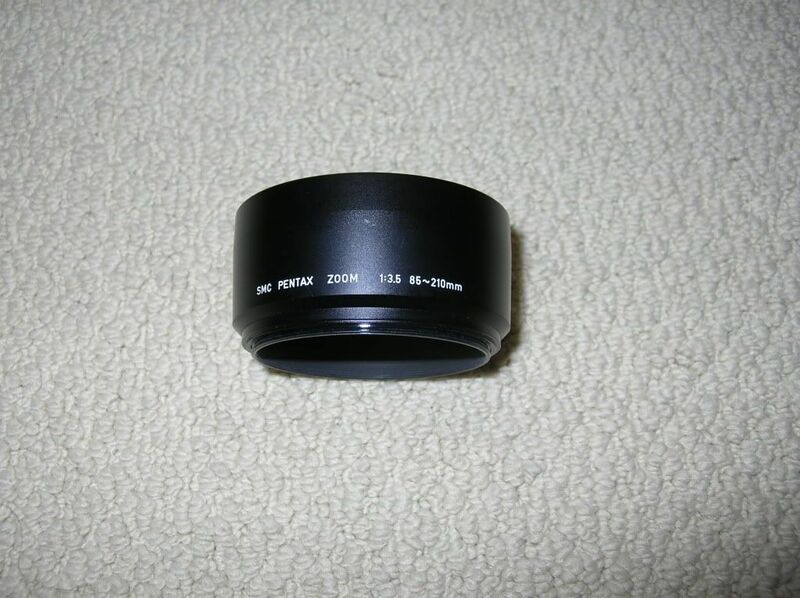 While I have always associated your hood with the M100/2.8 we can see it is marked for 100MM f/2.8 - 4.0. Boz's page quotes the PH-R49 screw-on hood as the one your lens was supplied with, but this one should be fine for your Macro lens. 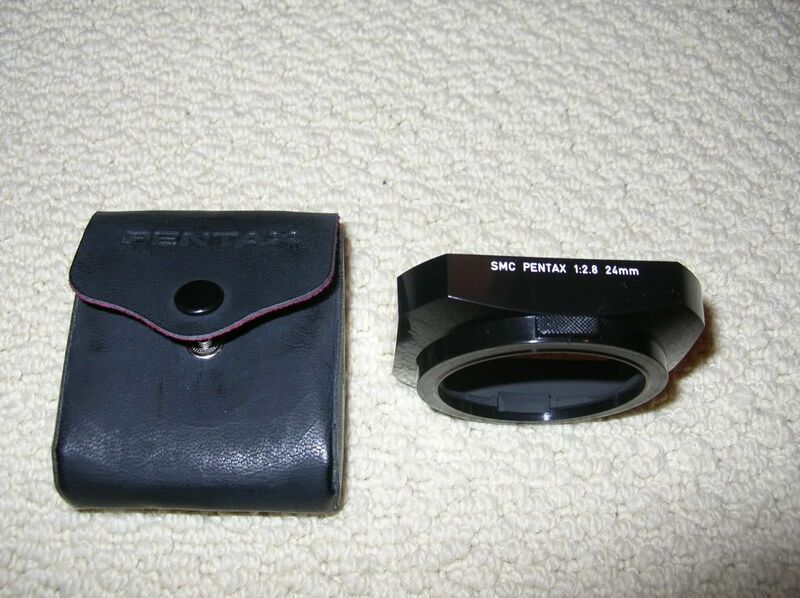 FWIW, your hood (SMC PENTAX 1:2 85mm 1:2.8-4 100mm) is actually listed as specified for the M100/2.8 along with the PH-R49. Last edited by monochrome; 04-26-2015 at 10:21 AM. Nice list, but the 49mm hood belongs to the M generation. smc 85/2.2 Soft is a specialty portrait lens. 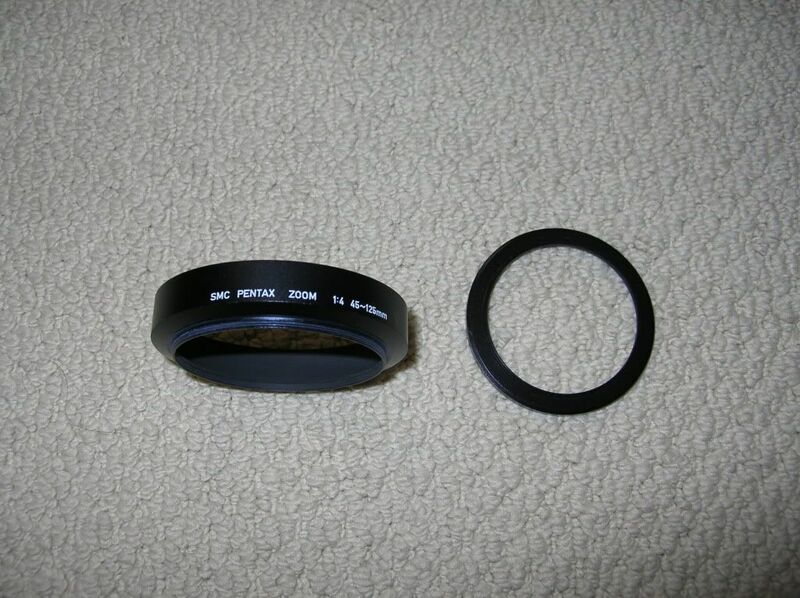 It has 49mm filter threads, unique amongst the SMC/smc-series lenses. Yeah, I know, but actually its an 'A' generation lens without 'A' functionality, that is probably why they could not name it 'A', and the 'M' series was already phased out, so that was not an option either. Designating it as a K series lens is a bit strange, it came about 10 years too late. it came about 10 years too late. It's an smc lens - and unique. Probably shouldn't be in this list but for the designation. 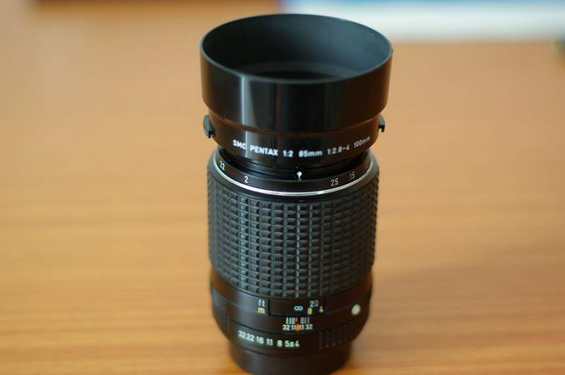 The 85/2.2 Soft is listed on the Dimitrov's web site as a "K" lens as well as this Forum. So even though it is a late addition, it's still considered a "K" Series lens. And yes the hood is a "M" Series. I'm looking for the rectangular hood PH-S58. I know it is very hard to find, but could someone give me the dimensions of this hood. 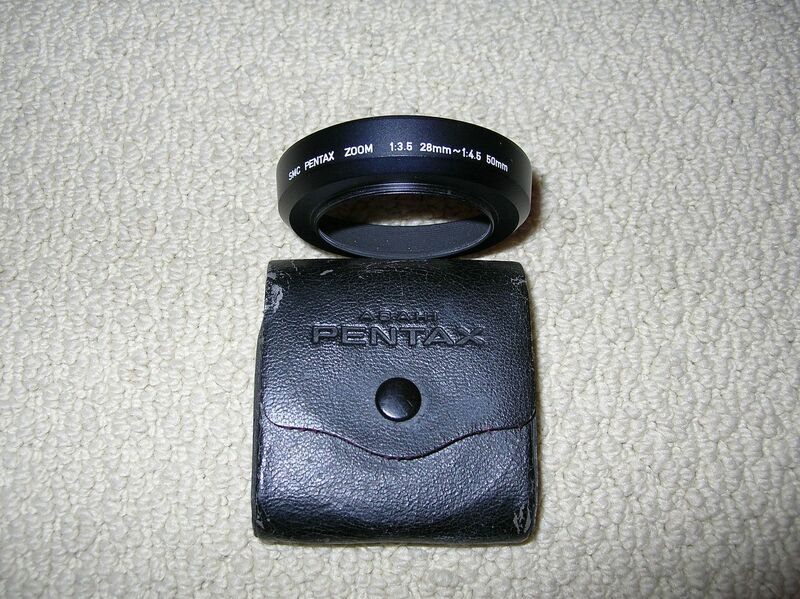 Perhaps there are alternatives that will fit on my new SMC Pentax K 20/4.